Kathleen (Kat) Freeman is a Subject Matter Expert in The Cloudburst Group’s Housing and Community Development practice area. Ms. Freeman specializes in the application of technology and business processes within social service settings to improve the homeless systems of care and the data that supports system change. She focuses on IT strategies, governance, and performance measurement as critical components to improving client outcomes and effective and efficient utilization of resources. Ms. Freeman is an experienced systems, data management and program analyst with extensive experience in business processes, applied information technology, and data analysis. She is experienced in policy and technical aspects of data management and use, has extensive experience working for federal government clients, and serves as a leading national expert to communities on data management and uses of homeless data for policy, planning, and research. Focusing on community capacity building, Ms. Freeman leads virtual teams of national technical assistance providers that include community outreach as well as coordination and integration of technical assistance efforts across multiple federal funding streams. 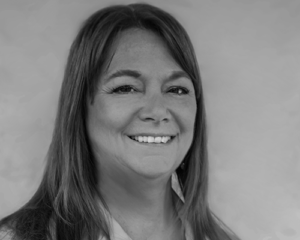 With a unique blend of technical and program expertise, Ms. Freeman also leads several community specific virtual teams focused on implementing and evaluating coordinated entry for homeless services; data management system analysis, evaluation, and replacement; and data warehousing. Recent projects include leading a team focused on evaluating coordinated entry in Grand Rapids, MI and the State of Missouri, working across federal technical assistance teams to create new tools and products for HMIS Leads, and leading an effort that focuses on transitioning HMIS Lead responsibilities to a new entity and building new HMIS Lead staff capacity. Ms. Freeman is an accomplished trainer and facilitator, including curriculum development. Prior to joining Cloudburst, Ms. Freeman served for over 3 years as the HMIS Project Manager and System Administrator for the State of Maine as well as 4 years developing and managing the Energy Services databases that involved programming, monitoring data quality, complex data analysis and report writing, and research data collection protocols. Ms. Freeman holds a Master in Business Administration and a B.S. in Computer Sciences (Information Management).